The road to seamless cross-border charging is a bumpy yet exciting one, and you are invited along for the ride! July 4 will be the kick-off of a new European project connecting various pilots and projects in multiple countries. A great example is the official launch of a new smart charging point being rolled out in the Amsterdam area. This charging point will mark the next step of many fully interconnected charging points designed to actively respond to international energy supply and demands and will welcome EV drivers throughout Europe. What can you expect on this day? Official NL launch of evRoaming4EU: What is it and how can you get involved? Opportunity to present your company or project to a European audience. Launch of the next step in smart, interconnected and green charging: a new charging point by MRA-Electric. It positions electromobility at the heart of the energy transition and makes it more appealing for everyone. More information about the program will be shared soon, but register now to secure a place! 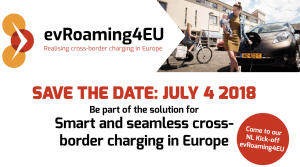 This project is a collaborative partnership between four countries (Denmark, Germany, Austria and the Netherlands) to facilitate roaming services and provide transparent information about charging in Europe through the use of the open independent OCPI protocol. Local and international partners, suppliers and EV drivers are welcome to contribute to the project and share knowledge and experiences. The project’s ultimate goal is to enable all EV drivers to charge hassle-free anywhere in the EU. 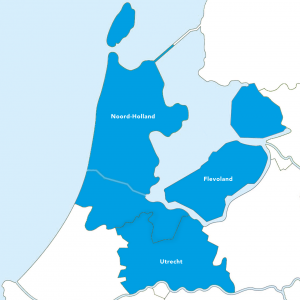 The Dutch partners of evRoaming4EU are NKL – Netherlands knowledge platform for charging infrastructure,, Eindhoven University of Technology and MRA-Electric.